John's Roast Pork doesn't look like much. In fact, it looks rather unimpressive. But, hey! Look on the wall! What? This little shack won a James Beard Award? Your eyes do not deceive you. Yes, this little shack really did earn that vaunted medal. 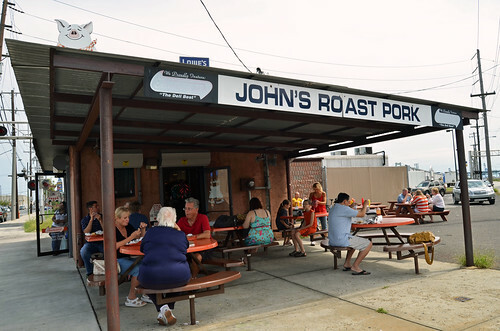 Eating at John's Roast Pork is not particularly easy. It's on the outskirts of town. It has odd hours. And it sometimes runs out of food. However, it sure is worth it if you're lucky enough to make it here. There is an art to ordering. 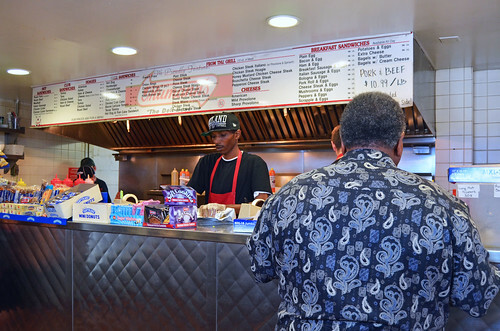 If you're not getting something off the grill, you can cut in front of all of the people waiting on grill orders. 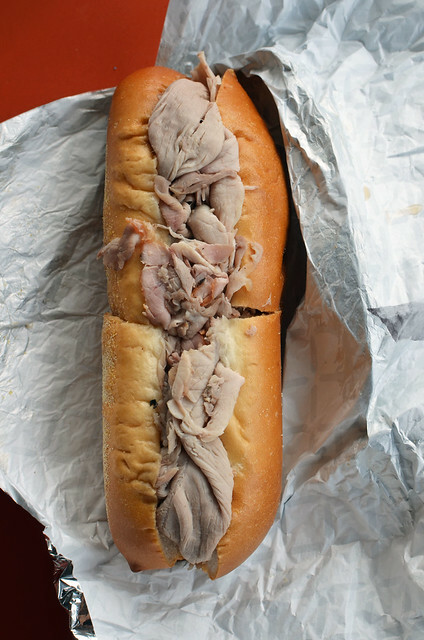 Thus, if you just want a roast pork sandwich, you can get served nearly immediately. 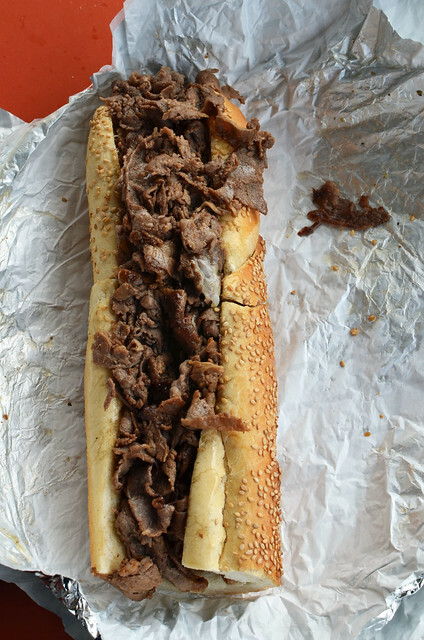 I assure you, though -- the cheesesteak is worth waiting a few minutes more! 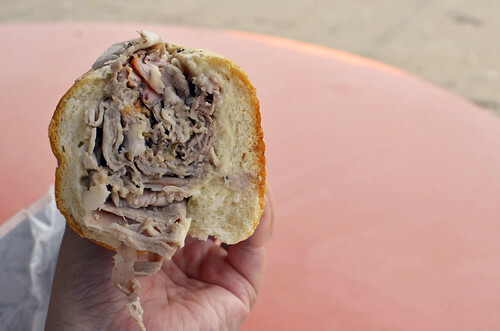 Small roast pork sandwich with sharp provolone ($5.50). An absolutely wonderful sandwich! So juicy! So generous! 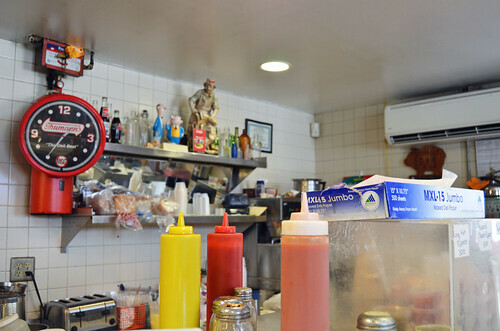 The shack's namesake sandwich is a must! Outstanding! 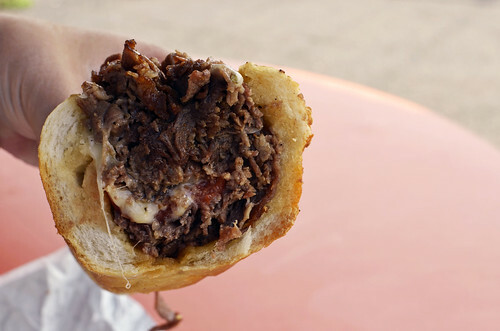 This was a variation on a traditional cheesesteak with provolone and grilled tomatoes instead of onions, which was ideal for the onion-hating Mr. Monkey. We loved this! Chopped and charred and packed with flavor! 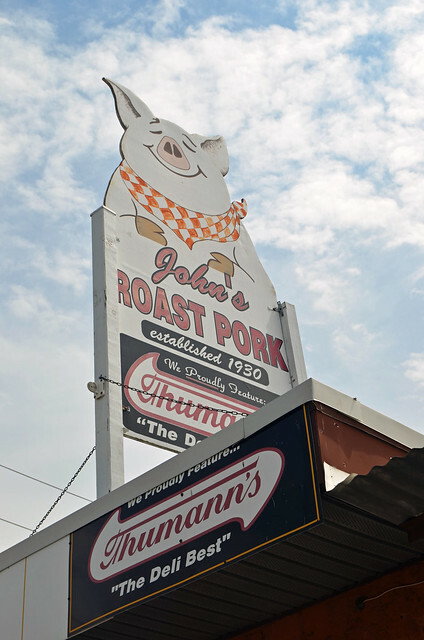 Good call, James Beard Foundation, on John's Roast Pork! Wow! I love everything about that place. It was such a good find! "...kind of benevolent shakedown operation". Anthony Bourdain re JBF's operation prior to 2005. 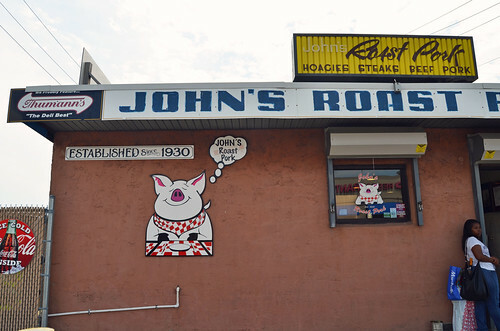 I noticed John's Roast Pork got their award in 2006. "..kind of a benevolent shaking down operation." 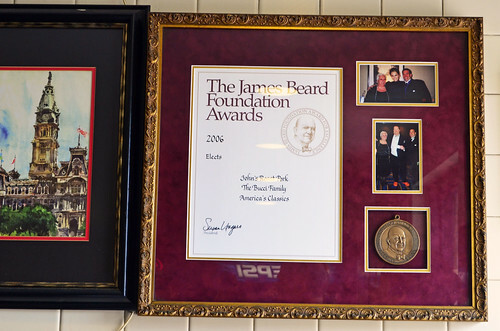 Anthony Bourdain on James Beard Foundation's operation. looks like the bear's kinda place. that second sandwich looks amazing.